Eye doctors say many are looking at phone screens almost 150 times a day, as well up to 10 hours a day on computers and hand-held devices, our eyes are at risk of being overwhelmed by too much light from the lower end of the spectrum. 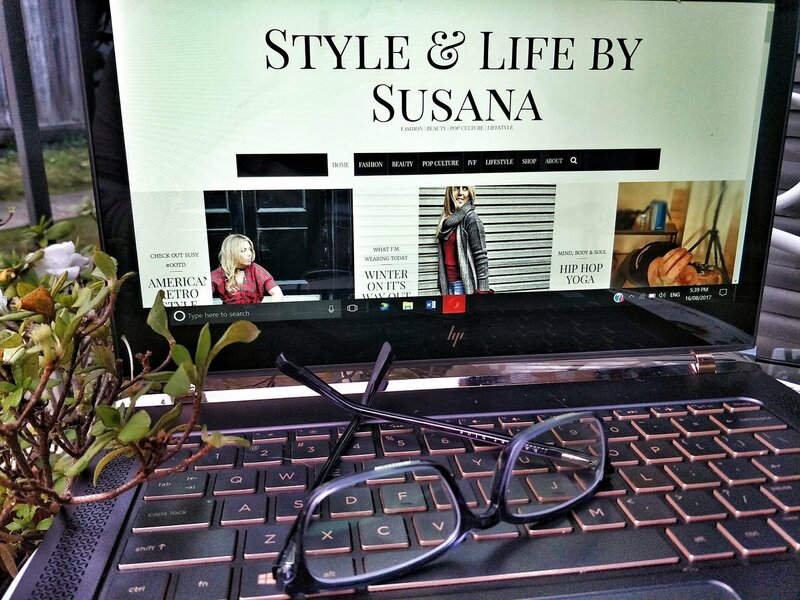 As a blogger, I am constantly on my smart phone, Tablet and lap-top every day, for hours on end. It gets to a point where I am so tired not just mentally but also physically, that in time I lose energy and will power and just have to take a break from all the social media promoting and/or working on the blog. The light coming from all of this technology affects our eyesight and well-being in the long-term. The reason many doctors and specialists say that we should minimise being on our smart phones especially before going to bed (or even when you’re in bed about to go to sleep) is because of the blue light exposure from the digital screens as it can have detrimental effects on our health such as digital eye strain, sleeping disorders and increase the risk of macular degeneration. The only time that blue light is OK is during the day as it boosts attention, reaction times and mood. However its a big no no at night, as the artificial blue light disrupts the circadian rhythm that causes the natural release of melatonin that helps us sleep. The blue light tricks our brain into believing it’s still daytime, so therefore falling asleep can be a tad more difficult and we don’t end up sleeping as deeply as we should, and can make it disruptive as well. Long time wise, it can lead to serious side effects such as depression and extreme fatigue. Personally for myself, I’ve experienced extreme fatigue, constant headaches, eye strain and my depression returning and I know now it was because I would still be on my phone late at night promoting either an instagram post, or a facebook post and tweeting away on my twitter page. So enter in Baxter Blue who contacted me a few weeks ago asking if I could review their fashionable non-prescription glasses that alleviates the symptoms of digital eye strain (characterised by dry, sore, fatigued eyes & headaches) whilst filtering out the harmful blue light that is emitted from digital devices such as computers & mobile phones. The moment I started using them, pretty much immediately I noticed that I felt less tired and my eyes felt a bit more, “relaxed”. 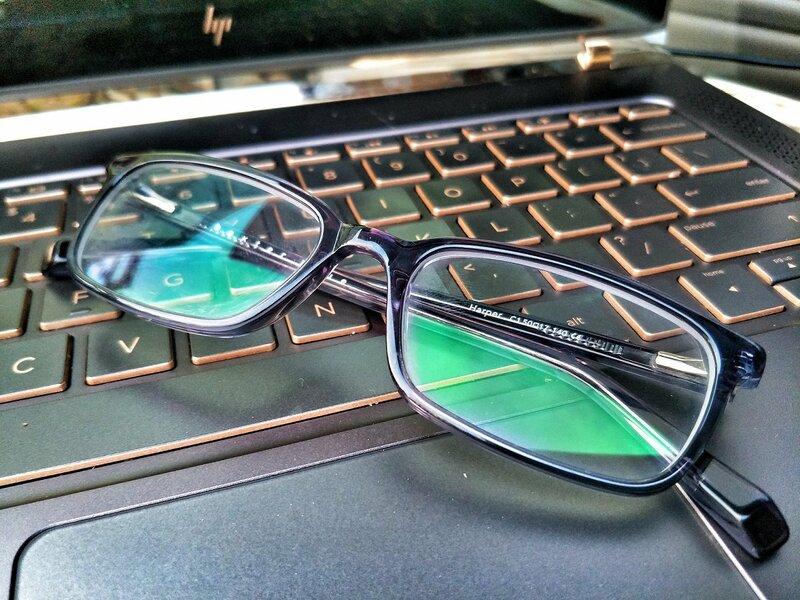 These glasses block out about 90% of blue light and by wearing them, its helping alleviate eye strain and promoting a good night’s sleep – and that for me is BIG deal! For at least three and a half weeks, I have worn them day and night – OK, pretty much ALL day and night. I work in an office job, so I am pretty much (again), on the computer for at least nine hours a day, and then when I come home, back I go on the lap-top and on my phone. Their glasses also help you to sleep better at night by blocking out the blue light from digital devices that plays havoc with your sleep cycles. I cannot recommend these blue light glasses enough! They are essential and especially more so if you are a blogger (whether full-time or part-time), you will need as you spend so much time on digital devices. This post is in collaboration with Baxter Blue and features glasses that were provided to me for my editorial consideration in accordance with my disclosure policy. All thoughts and opinions are my own.